Recently I’ve been having doubts about taking early retirement. What I’ve found particularly interesting is that since becoming financially independent back in July 2016 I just haven’t had the same level of hunger for it. In the past few weeks I’ve been really trying to figure out why. I definitely knew there was an element of institutionalisation in there but it was more than that. There was also fear and plenty of it. Then I had my aha moment. I was out on one of my regular lengthy walks but this time instead of walking past a cemetery I had passed dozens of times previously something urged me in. Initially I just walked around the gravestones reading the epitaphs and what hit me was just how many of the graves were for people younger than I am. It was a really emotional and surreal experience. I then sat on a bench to quietly clear my mind. In doing that what came to me was the below chart from an epic thread on the Mr Money Mustache forum – Stop worrying about the 4% rule. At that moment I realised that I should not be fearful of the fears I listed above but fearful of not getting to find out if any of them were true. That afternoon Mrs RIT and I had a long talk. The next week I handed in my resignation. It is time for the next stage of our journey. Many congratulations, RIT. That's a sobering graph, isn't it? Having had one or two friends die in their late forties recently was certainly a wake up call for me. I think your future self will thank you for your brave decision. I guess I should have know readers of this blog would want precision. One close friend, and two acquaintances have died in the last year. Whoo hoo big news! I was really beginning to wonder...I guess we all have to get there in our own time, in our own way. Great that you found a way around the big fear issue..warmest congratulations RIT. Congratulations! 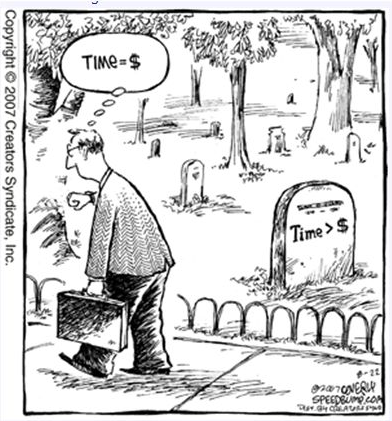 There's a theoretical risk of running out of money, but it's certain we all run out of time. Amazed it has taken you as long as it has to pull the plug. I retired last year and was like you, I held off for about a year and a half longer than I needed to. In hindsight, that was a mistake. I will never get that year of my life back. It would have been much better to have retired earlier, tightened by belt slightly, and enjoyed all the world has to offer instead of hanging on to earn some extra money that really had no marginal benefit to my standard of life. I promise you one thing though, you will 100% NOT regret this decision. At this moment I don't think my OMY'ish was a mistake. It's given me some flexibility which feels pretty good right now - for example a more expensive home because it has a really nice sea view rather than just a nice view. Like my fears being the wrong reason to work on it will be interesting to see if in hindsight I still hold that flexibility view after a similar time of being retired to yourself. Congratulations, RIT. Your journey has been inspiring and you've earned it! The one-more-year(s) you did have shored up your defenses and will allow you to spend a little more. Enjoy! Congratulations RIT! The OMY added an extra safety net against the unknowns Brexit may (or may not) throw at you which may affect your move to the continent. Can't wait to read what happens next! I've enjoyed following your journey getting to this point. Congratulations and best wishes for the next chapter. Bravo! Now make the most of it! Would be interested to hear where you ended up in Spain and why you picked that region? We looked all around the world for potential retirement places - Thailand, Cyprus, Kenya, South France, UK, Morocco and then visited Spain. I came to my own conclusion that theirs nothing not to like here. We live near Estepona and have the bling of Marbella 10 mins away or the simplicity of family Spanish life in San Pedro and Estepona (which we prefer). I came here for a lifestyle choice wanting a healthy outdoor lifestyle and sun shine. We can see Gibraltar and Africa from our local beach. We have been expats for 30 years (Africa, Middle East, etc) and wanted an international community. The wine is very cheap with a 2012 Gran Reserve costing 4 Euros and food is very cheap. The Mediterranean diet was also an attraction and we now love it (fish, salads, hams). We have a dream of climbing into our car and wandering around Europe for months on end. Thanks for sharing Tim. Estepona (and surrounds) was actually on our short list and ended up being a very close number 2 choice. It is a beautiful part of the world and who knows what the future holds. Depending on how Brexit plays out we might just end up neighbours in years to come as we could have very easily settled there. All the scenarios I have looked at have a considerably larger probability of running out of life than running out of money. Thanks for sharing that. It's US based like the graph I shared, which if history repeats could be a little bullish, but still very interesting to play with. After a home purchase I'll be starting FIRE with circa 65% Equities, 30% Bonds and 5% Cash. If Mr Market behaves I'll also go into FIRE with an expected withdrawal rate of around 2.3%. Running that through the calculator (and of course if history repeats) by State Pension Age I have a 65% chance of having doubled my wealth, a 16% chance of having greater wealth than I have today, a 0% chance of having less wealth than today, a 0% chance of being broke and a 19% chance of being dead. Sobering while at the same time making me quite happy with the position I currently find myself in. Too many men ( men especially ) have their self-esteem , confidence, feeling of self-worth attached to the work they do - and the success they make of that work . Without it many feel " naked " - exposed and vulnerable . It takes guts to face this and - in a way - start from scratch again and re-build those values based on different things aside from work. I think you are pretty much in that situation now . I am sure that you are surprised by this epiphany . Being a planner you were not expecting fear to be a deciding factor . 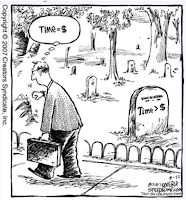 If things in the future are not working out as well as you had hoped and planned for - remember that moment in the graveyard and discount the regrets and doubts - you have made a momentous decision . At that point you have to throw your doubts over your shoulder - and not look back. Keep posting- even though the next few months are going to be difficult for you to admit what struggles you are having . I for one want to hear about those struggles and how you are facing up to them and what you are doing about resolving them. The very best of luck at the start of a completely new phase of you and your family's lives. Thanks so much for your kind words stringvest. Over the years to date we've had some great discussion. I know some of my actions are because of some of your thoughtful comments which at times I've taken a while to digest but with time have adapted to suit me. It's one of the reasons I keep this site alive and also why I've gained more confidence to share a little more over the years. You've helped me and I hope some of my posts have helped others in a small way. I intend to keep posting. I have a notice period to complete and then from what I've read I expect decompression to be an interesting experience. I hope to share a little of that in the hope it helps others. Thanks so much for all the wishes. Right now there is some healthy excitement in the RIT household with the adventure resetting back to day 0 now. At times it feels like it's been a long while coming but in reality this journey has only been 10.5 years thus far. Comparing that to many who could have 22 years more to go (45 now vs 67 State Pension Age) and I feel so fortunate and glad I embarked on this journey back in 2007. Life really is great! Even though it took me a while to figure it out I'm glad I've done my OMY'ish. It's added another degree of flexibility for only a small amount of time in the grand scheme of things. That's great RIT. I thought it would just be a matter of when and not if... I also have seen the gravestones of people younger than me. It is a short life and time goes on relentlessly. I will be following you in 10months time. Congratulations, Nick. Yes the markets have been kind. Although I often argue in favour of active management funds - index trackers ( the right indices ! ) have been the place to be as one of their great advantages is that they are always fully invested and don't hold cash. Funds holding cash have seen almost no growth or income from the cash - and the TER's odf each fund is applied to the overrall value ( including the cash ) so you may well be having to pay for these funds to hold cash " on your behalf"
I remember our active vs passive debate well. I think we'll have to agree to disagree on that one for a little while longer. For now trackers have done the right thing by me. Since I started on this journey total annualised return after expenses and withholding taxes is a real (after inflation) 3.9%. I went into this game with a planned 4% doing everything I need so for now I'm just going to stick with it. If Estepona came 2nd is Cyprus the winner? Renting first? When are you going? There's a bit of a story in location so I'll save that for a post which I'll write soon. It would be great if I end up with more wealth than I ever need as that might mean others on less conservative withdrawal rates also do well enough to pursue their dreams. Is it to late to collect on that bet with your better half? You haven't exited our shores yet. I'm looking forward to the day you do! In the forums I frequent it's rare that anybody in FIRE is negative on FIRE. I sometimes wonder if it's confirmation bias or reality. You confirm it's reality which is great to know. Nicely done RIT. A big step that clearly required some time to get comfortable with. Good luck for the new direction. Woohoo! I didn't think you were going to do it. Congratulations! This is a wise quote: "I realised that I should not be fearful of the fears I listed above but fearful of not getting to find out if any of them were true." Thanks for the wishes TA. I must say that Monevator, which includes TI and your good self, has been instrumental in getting me this far. Thanks so much for that as well. How goes your journey? I seem to recall you were looking for an 'income' of about £20k at a starting withdrawal rate a little higher than I was gunning for. It's a pleasure to have played a part - thank you for saying. I've read your story with the kind of emotional involvement you might normally reserve for the hero in a novel - because I'm going through the same thing, albeit further behind in the curve. So for me, this is the happy ending. Though of course I'm looking forward to reading the sequel beyond the fairytale ending. My conscious FI journey is a 10-year plan and I'm 5 years in. Financially I'm ahead of schedule and morale rises every passing year. You are right about my starting assumptions: £20K @ 3%SWR. 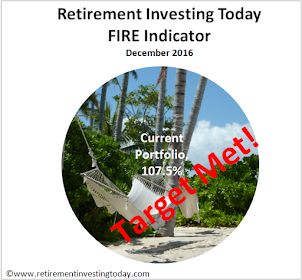 Since we last spoke about it, I've liberalised my SWR and upped my income target. I feel I've a better handle on the SWR levers now, so can pilot through the deaccumulation terrain with more precision and respond to changing conditions e.g. I can respond to turbulence by varying my withdrawal rate etc. Really great to hear you are ahead of schedule. What is giving you the out performance? I also ended up well ahead of schedule. For me the big gains came from increasing earnings by more than I thought I could as well as a focus on quality of life leading to spending less. Investment returns actually ended up pretty much bang on the money. I planned on a real 4% and to date I'm at 3.9%. From our previous exchanges plus other readings I think I also have a reasonable handle on SWR - failure is all about too high an SWR, a big real market adjustment in the first circa 5 years and no spending adjustment to counter when that happens. I think I also know how I'll track progress against that which I'll share once on the other side and I get the analysis/charts together. That said I'm also probably a bit conservative at 2.5%+0.2% expenses but I didn't want Mr Market dictating when I spent despite having circa 47% 'discretionary' spending in my budget. I hear you on the morale side of things. With every passing year life became better and once FI it was like I was on cloud nine. Let's see what FIRE brings. I hope your journey accelerates even more than today and look forward to hearing how it develops. PS: I know you post on Monevator but you never share your personal journey there. If you're ever interested in sharing a more personal story I'd love to publish it as while we have a lot of commonality of approach we also have a lot differences. Outperformance is a mix: higher earnings, more doveish SWR, market beating my cautious expectations - though of course that can still blow up in my face. You are super-cautious on SWR as we've discussed but then you've had the moxie to make it happen. Reading about how you've done it has provided an interesting (to me) contrast. As far as I can tell, you've exceeded your own income expectations by making yourself the go-to-guy in an outfit that wouldn't have hesitated to drop you in the shark tank if you'd fallen short. My firm is similarly ruthless. I doubted my ability and willingness to last the pace at the senior levels. So I opted for being the go-to-guy at the next level down. I'm well paid but not that well paid. Nowhere near your level. I'm visible but not that visible. I figured that would suit my temperament and adversity to politics. I *think* that's improved my survivability but at the cost of income. I've pushed income on the side-hustle front, but it's hard to scale. You seemed to gamble hard on the drive for income and won. I would have loved to have seen their faces when you told 'em you were done with that. I think you've summarised it very well. In previous posts I've written about how my plan, amongst other earn more techniques, involved using an advantage that only I had - I was in it for a relatively short time. For that to work I had to first back myself by picking a firm/s which rewarded results rather than attendance or effort. Once I'd done that it was time to deliver - good planning, attention to detail, staying current via self training and then the hours to out perform my competitors (internal and external). The rate I sustained was not sustainable for 40 years but it was sustainable over the period I needed. The end result was income increasing at multiples of the salary I had when I started on this journey when measured in real terms. The risk (gamble?) was of course survivability. Of course others on a FIRE journey might want something different. Take a little longer with less risk like your good self/other bloggers I could name or even go part time for more me time which again is discussed by other bloggers. I didn't actually take any pleasure in resigning. The people around me are just trying to do their job while achieving their life ambitions in a pretty tough industry. There was also a lot of good eggs and without being arrogant my departure will leave a hole. I also learnt a lot both good and bad. Without a doubt it was hard at times but I knew that going into it. I'll also take away some positive memories. If I had have stayed another 10 years then of course it might have been a very different story. Well done RIT. It's now 13 months since I FIRE'd and I have to say the 'decompression' took longer than I expected. I wonder if the period of decompression is a function of the stress/complexity/seniority etc of the job? - in which case it sounds like it might be a while for you. But don't worry, it does pass and you can look forward to those 'sunny uplands'. Thanks for your good work in posting your journey and I really hope you continue to do so. From my readings decompression looks to be a very real thing and in some cases can be a pretty difficult experience. Reflecting on my role I'd say it carried plenty of stress and complexity so I hope mine isn't too difficult. I am looking forward to finding out though and also plan to share my experience to benefit the collective. I found decompression was a matter of time, it is a form of convalescence. Measured in years, not weeks or months. But you have the time, ease into your skin. One tip I would offer is if possible don't make any life-changing decisions in the first six months if you can, because your retired self has very different aims and priorities to your working self. The non-workign self has to slough off the skin of the working self, whcih has built up and hardened over many years. The nettle grasped: well done. You have backup: if you can't settle to a retired life at 45 you're young enough to pursue a new career, preferably different enough from the old one to be refreshing. Thanks dearieme. I hope to find purpose in FIRE which might include work / side hustles. I just never wanted it to need to be compulsory and planned on that basis. 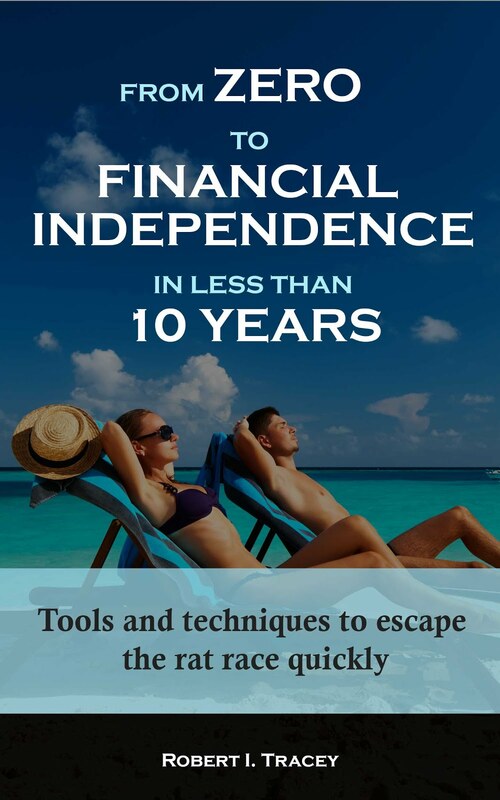 When I first started this blog I actually defined early retirement as work becomes optional. That said I hope I don't feel the need to re/start a new career. That is certainly not the plan but I guess time will tell. Congrats RIT. It will be interesting to see what you do with your new-found freedom and all the existential questions it inevitably raises once the constraints of work are removed. If my own experience is anything to go by, I would anticipate some degree of soul searching. "I would anticipate some degree of soul searching." I hope so. I've been using the left side of brain so much in recent years I sometimes wonder if the right side even exists. Looking forward to trying a few new things which some soul searching might encourage. Are you going to do a post about what your work said when you have notice, there must be a story there? It would make a decent post but not sure if I'm going to go there as it's more of a one off story rather than something that will bring value to the collective. Oh Please do (Frugal Git from HPC here). Although it may seem not to add value in terms of retirement - its a very interesting part of the story and i have little doubt adds to the inspirational nature of your achievements. I still remember when I was inning and ahhing over handing in my notice to a previous job to go and see the world for a year. My boss's line was...'don't do that! Buy a house, settle down and make more of your weekends'. This was 2006. House prices were insane (worse now obviously but another story). Made me more determined to do it! Sincere congratulations by the way! Very good news. You a dragonlance fan dalamar? healthy weight: for a long life it seems to be best to be "overweight" or even slightly "obese" by the criteria currently fashionable among medical men. "healthy diet": that almost certainly means ignoring much of the rubbish that has been government diet propaganda for decades now. Instead follow Jeeves - eat plenty of fish. Lots of sport: fine, but be careful with your knees and back. Talking of which I've suddenly realised where to retire to. Corfu: they have a Med climate but cricket is played. You're not too old to master the leg-break, RIT. Brill. some meditation... quite possibly. Or some 1920s jazz before breakfast. Whatever. Absolutely want to get myself back to a very healthy level of fitness rather than just being reasonably healthy. Want to devote a lot more time to cycling, walking and swimming which should help improve fitness a lot while not wearing my body out. The location we've picked has been made with this as a criteria. We eat a lot of vegetarian currently but a Med diet (love a good Med salad) just agrees with me and every time we go for a couple of weeks the weight seems to fall off me. Hope that continues when we live there. I think it's partially to do with the heat where we eat more salads, fruits such as melon and feel generally less hungry. As soon as I leave the job I expect the stress levels to fall away so check to that one. Meditation. Not something I've really explored. Mrs RIT though is very big on it so I at least have somebody to learn from if the mood takes me. Pah! Batting's the easy bit. Yer leg spin, that's the true art. Hi RIT, I was too tipsy after FI drinks last night and with dodgy train mobile signal to say anything substantive. Congratulations! You've been an absolute inspiration for me on my FI journey. And it makes me so happy to see you make the big step in your own journey. 1. Find a few projects to work on. It will help provide some structure to your days. For me it was learning to ride a bike and studying some professional qualifications. The later has opened up lots of new opportunities, including writing my blog. You'll find loads of opportunities open up that were never available whilst in the rat race. 2. I usually meet up with ex colleagues and friends once or twice a week for lunch in the City. I found it helped make the jump from work to no work much easier. Being free from the shackles of work also meant that I had more energy to give to my friendships. It also keeps my brain active, one thing I do miss is the technical challenges of my old job. I'm not sure whether you'll miss the intellectual element of your job, but keeping the ol' noggin whirring is something I'd recommend to everyone! Thanks for the hat-tip YFIG. I've been also enjoying your musings of late. My first decompression 'project' is going to be my health. I want to step up my hiking and I think we've chosen a location that will play to that. I also want to do a lot of bike miles on both road and trail. Again I think we're set for that. After say 12 months I'd then like to update my book with all my new learnings and I hope to stay blogging here as well. Hoping that plus my personal finance interests will keep the brain whirring. We also have friends and family spread across the globe so a bit of slow travel might also be on the cards once we have registration and residency secured in our new home. We want no confusion over whether we were in one of the EU27 before Brexit. Fantastic news RIT, well done for making such a courageous decision. Like others I doubt you'll regret it, but it will take a long time to adjust, even if things feel very different quite quickly after you've escaped. I'll certainly be watching this space to see how things turn out, and I wish you the very best of luck with whatever the future brings. I'm also very grateful to you for sharing your inspiring story. I've been reading your blog on and off for 10 years - we've been on a similar journey - albeit you've a few years on me (35 yo vs. 45 for you). I don't know how I came about your blog but I rediscovered it when you were posting on HousePriceCrash. Like you, I've been reading that for 10-12 years now and I've used it to position myself better for the fact that the world is not fair - houses are a ripoff. Ultimately, it comes down to your maxim of spend less, earn more and invest wisely. Great to hear that you've pulled the trigger but please don't stop writing! My wife and family are looking at it - we don't see eye to eye on the level of penny pinching we'd have to go through to retire but that's one side that we'll get through - first we need to keep saving (85% of the way there already I reckon and come Spring 2020 we'll be free. Blimey, he's done it at last! Nice on, sir :) I'm six years after retiring and my primary regret is I didn't get my act together in an organised way like you and clear off earlier... Welcome to the rest of your life, and good luck! That's a powerful chart, eh, we send a lot ot time worrying about running out of money, where running out of time is a 100% given. I add my congratulations and echo what others have said, we are all different, but I have no doubt you will not regret the choice. I am now approaching three months of retirement aged 56, and a few thoughts. I shared all of the fears mentioned and some more of my very own. It is one of the most of the consequential decisions you will ever make - for good or ill, and the informing issues are as much emotional as financial. I was perhaps more fortunate than most as I worked as a freelance IT contactor, I was careful not to close any doors, and gaps of 3, 6 or even 12 months between contracts, whether voluntary or involuntary, are not that unusual. As is usual in the business I operated through my own limited company and I resolved to leave this open for a year in case I had second thoughts or the mythical 'dream project' presented itself. Then, a week ago I logged in to my online broker account where I manage our SIPPS and ISAs to find the headline total had dropped by a five figure sum. I at first assumed a glitch on the website, not the first time, but to my dismay when I drilled down I found that one of my dividend picks - Connect group - had issued a profit and dividend warning and the share price dropped from 50p first to 17p before rebounding to 30p. Sheer hubris, I had been tempted by a over-large dividend and broken my own rules on weighting and market timing, and Mr Market had duly punished me. It took me a while to get things into perspective, which I did by plotting a 'glide path' graph - that is, using my calculated drawdown rate and plotting 'target' net worth against 'actual' for each of the two (and a half) months on which we'd been living of pensions and capital. This revealed what I had intuitively suspected - yes, I had on paper lost around £20k, however in the two months prior to that the market had delivered paper gains of £35K, so overall I was comfortably 'in the black'. This increased confidence that I was on the right track, as it were, yes I had made an investing booboo (it happens) but the overall portfolio was resilient enough to absorb the loss of a year's unearned income. So emboldened, I resolved to make the retirement permanent, and instructed our accountant to begin the company closure. There were other factors of course; contemplating going back to the nine-to-five after tasting freedom is increasingly unattractive, I may post something on this - and closing the company 'early' saves over £1k in accountancy costs. So the die is cast; decision final, no regrets. And the Connect share price is gradually recovering, up to 34p today. We never stop learning. A belated congratulations! I am almost more impressed by the fact that you're sallying into Europe to start a new life in the face of the B-word. I think you'll almost certainly be fine, but interested to find out. If I ever do relocate to the continent now I think it's going to be on the wrong side of the deadlines, sadly. There are pros to going now for me, but also some big cons. Hope you keep the blog going! I too have given my notice last weekend almost exactly when you did but I was 50. I was FI at around 40/45 but committed to 50 because it was a better example for my kids. I then hung on 7 months longer than I said I would because of possibly redundancies but missed out (again...7th time in as many years). Redundancy for me is a massive 2 years pay, it is always just around the corner with massive cuts but I swore I was going at 50 and I have, even though I like my job. Yep the job is okay but what I don't like is the missed opportunities whilst at work. I have far too much to do in my next 15 years to spend any of that time at work....far far too much. And to challenge myself to live a life without work to define me or tell me what to do each day is really exciting. It's being free. You have done brilliantly and shared some great detail. As you know my strategy is similar but involved the evil of property of which I am not hugely proud when I see prices today....but it's what I knew and when I was getting 15% yields and 40% profit on flips just made sense during my mid 20's and throughout my 30's. So left with a handful of rentals (and making many sales these last 10 years) I will continue sell as they fall naturally empty that will keep me busy enough. My DB pension of £16k is a nice add and unusually payable at 50. I could transfer but £600k (yep, massive I know) for me is something that if I really wanted I could earn by renovating houses for fun during my retirement. I have enough capital already and £16k index linked for life is a nice steadier. Although I will see an IFA their charges just turn me off. So begins the excitement of retirement and for me it will be an adventure of travel and spending time with my children and my 5 grandchildren. Australia already planned in for March 19 and California Oct 19. We are starting to plan holidays with the kids too which will be lovely after many years of romantic holidays....I had forgotten how much I missed screaming babies and whining children. Grand parenting is a genuine joy....when things really did kick off on holiday then my own kids would take over whilst I go for an evening meal with Mrs Pops overlooking the beach. I love casual physical work and this will range from labouring for friends, helping the local school PE teacher with football training or if I fancy a mind stretch helping do accounts and spreadsheets for friends businesses. Minimum wage....but not voluntary. I may do voluntary ad hoc work to but first I like the idea of being paid £3k a year for 'playing at jobs'. Good luck on your ongoing adventure. With the kids (and grandkids) it was always and easy option if the UK and Yorkshire of course for us. But you enjoy the changes you are making ....they are exciting and the life you are living is 'now'...it's not the destination any more. Feed your soul and make sure you are doing something you love....even if it's nothing. These threads may move to include investing but also include those retirement challenges. It feels fantastic when you finally hand in your notice after all the years of expectation. I remember feeling almost snug when my managers asked why I was leaving and my answer was "I don't need to work anymore" - it was so tempting to say "so you can f*** right off". After just over a year or no work I can truly say it is fantastic, and I hope you get the same feeling. I am looking forward to seeing you experience of moving away as it is something I still would like to do but will not decide until Brexit settles down (also the last two months have been like South of France in NW England). Congratulations with your decision and good luck. I have also just quit my highly paid job and still have the odd day where I think what have I done! But when I look at the graph you posted showing the larger risk we all face is death it makes me realise that now I have more time to go to the gym every day and have a more healthier diet (no more business travel/airline food) I can reduce that risk significantly. This is much more important that having a bit more money. Thank you for posting that! Currently I am still in the UK and waiting for the refurbishment of our villa in Marbella Spain to be finished so we can move in at the end of the year. I have put a large part of our funds into that villa because we really appreciate living in a nice place that we have designed and with a private pool and large garden. That said we also have the option to rent this out during the summer months (its walking distance to the beach and close to the town centre) which can generate a significant income (you may also have this option also as a backup) so this will also help and we plan to sell this in about 20 years when I will be in my mid seventies and move to something smaller. I am also looking at business opportunities in the Marbella area as I would like to have something part time to do. It will get boring having all my day just pursuing leisure activities. Right now I am pondering where I should invest the rest of our funds that are coming from some property sales. 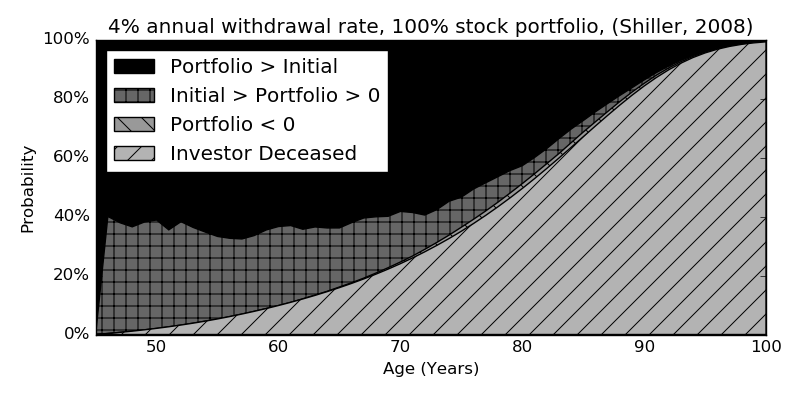 I wanted to ask where you plan (country/company) to hold your funds during retirement and how you plan to manage any currency risk during the drawdown period should you have everything in GBP. Also any tips on reducing taxes would also be appreciated. Spain is not such a great place for taxes unfortunately. I know I'm a bit late, but many congratulations! I hope I don't chicken out when it's my time to pull the trigger - the accumulation of wealth and the safety net of a full time job can become quite addictive. Looking forward to reading more about your journey outside of the traditional full time job.